The Novel Formerly Known as Hellbent has been passed off to my wonderful critique partner, Andrea Cremer, and my truly fabulous agent. I’m bracing myself for whatever they have to say. But, whatever it is, I know it will be right on the money. I can always count on that. Andrea is amazing at seeing possibilities that I never would have thought of, and Suzie has an incredible editorial eye. I’m blessed to have found such wonderful support in my writing. Whenever I’m asked for advice for aspiring writers, I say something along the lines of: Trust your gut and your voice, and find someone you really trust to critique your work. The thing is, when you’re writing, all these wonderful ideas explode in your head. If you’re like me, sometimes it’s a little bit of a struggle to put them into actual words and get them on paper. I know what I think I wrote, but that’s not always how it translates onto the page, so I need someone who can read what I wrote objectively and tell me if it says what I think it does. Okay, that’s a perfect example. I totally confused you all with my words, but my point was very clear in my head. As an author, I want the reading experience to be seamless. We don’t go back and relive a moment in our lives because something confused us. In a book, we shouldn’t ever have to reread a passage. Realistically, I’m fairly certain I’ve never gotten through an entire book where I didn’t have to reread something. Maybe a few sentences or a paragraph, but you want to keep your readers flipping pages forward, not backward. If I have to turn back too often, I’m going to get frustrated and stop turning forward. Again, I want a seamless read. Turns of phrase, metaphors or anything else that pulls me out of the story, need to go. In my humble opinion, the writer should be invisible in any novel. When he/she starts to intrude on the story with flower prose, or poorly chosen words/similes/metaphors, I notice him/her. And when I start noticing the writer, I’m no longer in the story. They’ve lost me. My lovely critique partner and I both use the same writing method. I believe I’ve heard Andrea describe it as jigsaw puzzle writing. We don’t write chronologically. It’s not unusual for me to write the end first—or sometimes the middle. I write when my characters have something to say, and I’m not in charge of what that is. The thing about that is, when you get it all put together into a single story, just like the jigsaw puzzle, you want to be able to see all the detail in the story and it should be cohesive—seamless. (I know I keep using that word, but it’s really important.) I’ve read books (some of which have sat on the NYT list, so what do I know) that just felt like a bunch of scenes strung together. Each scene was separate and had a specific function—to introduce a character or plot twist, or to move the plot along—but there was no sense of cohesiveness to the story. I find that a frustrating read. Any of us can write a fabulous scene. Most of us can write several fabulous scenes. But, if you were to take those and just slap them together, it wouldn’t necessarily make a great book. There’s an art to writing a seamless story that holds together and flows effortlessly for the reader. So, that’s my two cents on the matter. For those of you who write, what do you look for when critiquing? In the beginning, I'm focused on protagonist relatability, voice, and hook. Because if those aren't strong off the bat, the work will lose my interest regardless of how cool the plot is. I try to find inconsistencies in the story as I go along too. For example, if someone has a broken leg, they can't be running in terror. Another thing on my list is to try to strike out all redundancy. You know those sections where an author is trying to say something and doesn't quite get it right so they say it four-five different ways in the span of one-three pages. I tend to be big on redundancy. The more I write, I'm finding the less I need to explain myself. Then again sometimes I don't explain enough. It's a toss up back and forth between the above points. If I'm using a few words in a different language I tend to forget not everyone knows the translation. I fine comb those sentences to see if they can figure out the meaning from what else was said, or if I need to somehow point that out. P.S. This is of course, critiqueing my own work before I send it to a beta. I haven't tried to do likewise with someone else. Excellent breakdown Lisa! My biggest problem, especially when revising on my own before it goes to crit group, is remembering what I've already cut, and what parts of the story were only ever in my head. Being the author, the dreamer if you will, I know so many details about the story and the world it takes place in that could never fit in a MS that sometimes it gets really hard to remember that the reader does not know all those things. These kinds of problems always require a different set of eyes than my own, so thank god for CPs! Great points! 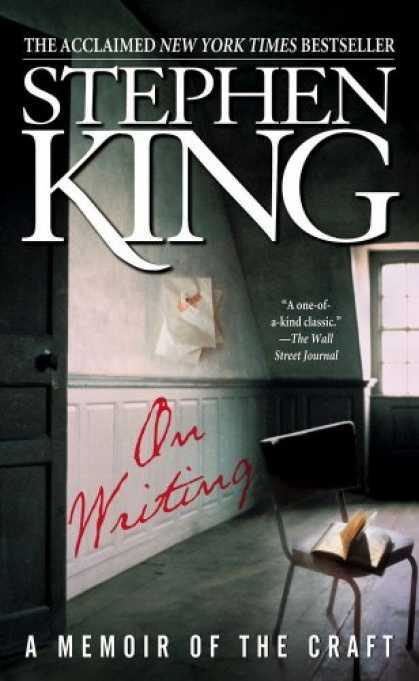 And King's ON WRITING is the best book "on writing." I'm going to try writing via the jigsaw method. It sounds like it would suit my style better because I have some amazing scenes and overall gist of the story but not necessarily all of the connecting pieces just yet. So ... what are some of the pitfalls I should look out for doing it that way. Also, at what point do you submit your work to your crit partner - at every step along the way or only after you have enough written? ?